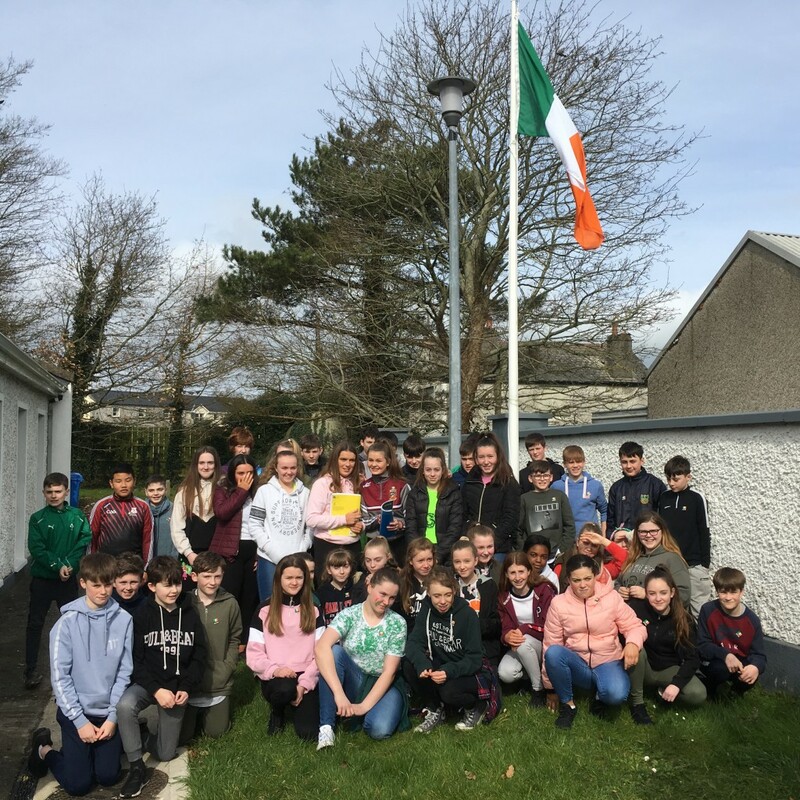 1st Year Students from Ms Martin and Ms Stynes’ classes celebrated Flag Day on the 15th of March. Students had looked at the history of the flag, its origins and what it symbolises. Students also learnt about protocol and respect for the flag. Students presented their findings In English and ‘as Gaeilge’.